PRIME Minister Peter O’Neill says the nation is looking forward to hosting more international events following the success of the Fifa Under-20 women’s soccer World Cup completed last Saturday in Port Moresby. “Hundreds of millions of people saw the Fifa matches around the world, and they also saw Papua New Guinea as a strong nation,” he said. “When I was at Apec in Peru (two weeks ago), the leaders of other countries were asking about our Fifa tournament because they had seen it on television. 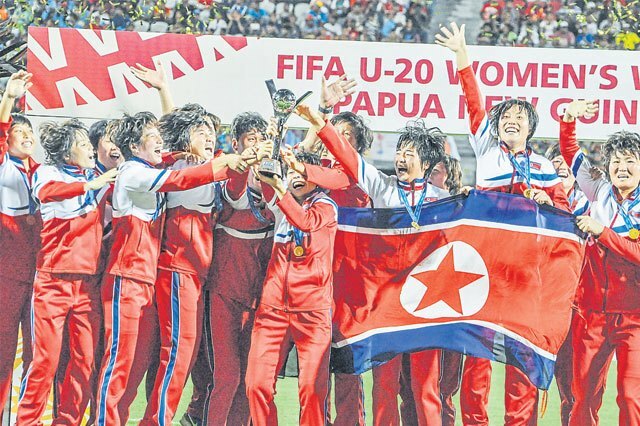 The final last Saturday was won by North Korea which beat France 3-1. The 16 teams including PNG played their pool games over three weeks. O’Neill said the nation was now looking forward to the next major events. “PNG hosted a very successful Pacific Games last year, now a Fifa World Cup, and the Rugby League World Cup matches that will be played (here) next year,” he said. O’Neill said the citizens had been “the perfect hosts for the football world and outstanding ambassadors for the nation”. “It was not the Government that hosted the Fifa World Cup, it was the people (of PNG) who hosted the Fifa World Cup, and you have all done us proud,” he said. O’Neill also thanked the players and official of the 15 teams for coming to PNG. “I thank you for being with our people and the bonds that you have developed with our communities,” he said. O’Neill paid tribute to the PNG team which “put in a tremendous effort against the superpowers of women’s football”. “On behalf of a proud nation, I thank you and I congratulate you for the heroic effort that you put in during your games,” he said. “Every one of you served our nation with pride and distinction.